WMW ECU Tune for R53 2002-2006 MINI Cooper S and R52 2005-2008 Cabrio S. WMW has been offering ECU tunes for years for the MINI. Over the years we've developed this great basic tune that we nicknamed the Quicktune. It will work with any stock or modified MINI. Our basic tune is not meant to gain you 50hp like everyone dreams about. We designed this Quicktune to tie everything together as it is primarly meant to smooth out the acceleration, improve throttle response, smooth out the 2800-3000rpm hesitation the MINI has, raise the RPM limiter, and give you a little HP and torque. But most important this is a SAFE map as we don't lean out the fuel map since we don't know how your MINI is right now. That way you don't have to worry about this causing your MINI to run lean and have issues from the tune. This tune does NOT require you to buy a remote tune module, just ship us your DME from your MINI. We also can set your ECU for stock fuel injectors or JCW 380cc injectors. Please email us your list of mods your MINI has so we can adjust it exact to your MINI. Make sure you package and box your ECU very well and safe. Just a padded envelope is NOT good enough. 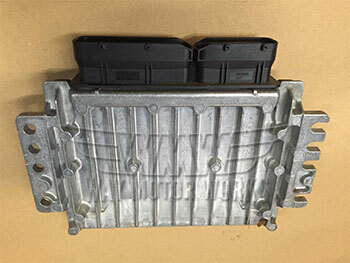 Remember this ECU is over $1000 to replace and a pain to do so make sure it will not get damaged during shipping. WMW will NOT be responsible if received damaged. Had the Quicktune done on my R52s after installing alot of mods to include injectors and the difference before and after is amazing. The car is more responsive,smoother idle, and lots more fun to drive! Worth every penny! Thanks Way! I just want to let you know how truly amazed I am at the results of your Quicktune. All I was really hoping for was better throttle response and getting rid of that damnable 2900rpm hesitation. I got both of those and more; I know you don't make any silly HP claims, but that little HP and torque you mentioned are certainly there. It really tied together the mods that you offer in the Street Performance package; this tune is absolutely fantastic.